Mark Tempany started hearing music at the earliest age. The last of four children, his brothers and sister all played their extensive record collections and always tuned in to their radio favourites. Mark�s mother was also a fine singer who constantly sang at home, and on the road during regular holiday adventures. Mark�s first audience was his grade four school class - his first stage performance at his grade nine high school variety concert. By the time Mark was nine he had been writing and recording his own songs on home tape recorders - and was already a competant guitar player. As Mark progressed through university (where he attained a degree in Environmental Science) he knew where his passion lay - and immediately upon graduating he began playing small folk music clubs and cafes.. In late 1993 Mark entered and won several sections of a local country music talent quest - something that would change his musical direction forever. The organisers - impressed with Mark�s potential - suggested he travel to the impending Tamworth Country Music Festival in NSW and enter competitions there. This he did, and immediately won two major sections of the leading amateur country music event - the CCMA National Talent Search. Although Mark had seen himself primarily as a songwriter - he had found it frustratingly difficult to have major existing recording artists review his songs. This led to Mark recording his first all- original album - "Stand in the Storm" - in 1994. "Southern Skies" followed in 1996, and "Summer Dreams" in 1998 - with Mark�s music gaining more media and critical attention with each album released. 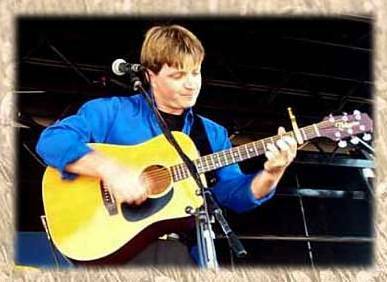 In 1996 Mark had been a Grand Finalist in country music�s premier professional talent search - Toyota Star Maker - and in late 1999 had travelled to North America to collect a second prize in the Unisong International Song Contest - one of the world�s largest songwriting competitions. This experience culminated in the album "far away" - a true watershed project featuring superb production, performances and a public and critical reception quite out of the ordinary. Now Mark was being seen on national television and heard everywhere on radio - and his live performances generating much excited response. He had toured to North America and Europe in late 1999, and was now also gaining widespread exposures overseas.By 2003 Mark�s brilliant fifth album - "The Long Highway" - was released, and several top-charting radio hits have ensued. With over 10,000 album sales, and an ever-growing concert touring base, Mark�s music is providing the ultimate quality and uniqueness of performance that have made them worthy leading lights of the Australian independent music community. Mark�s annual concert series at the Tamworth Regional Conservatorium of Music is quickly becoming an integral part of the Australasian Country Music Festival every January. Begun in 2001, "Concert in the Chapel" not only establishes an annual festival home for Mark�s music - but also in time will showcase the very best in original Australian music. In 2005 "Concert in the Chapel" provided three SOLD OUT shows, featuring Mark, Golden Guitar winner Michael Fix and emerging talent Alison Hams.